In other words, the situation described here was that the market price of yarn fell, so that it was not possible to buy flax or labour-power to replace that consumed in production. The situation Marx now describes is now essentially the same, but viewed from the opposite direction. Now, the price of yarn remains the same, but the price of flax rises sharply, or is unavailable. As Marx describes, in Capital III, Chapter 6, there are a number of scenarios that might exist, here. If the price of flax rises sharply, after the spinner has sold their yarn, the money they receive for the yarn will no longer be sufficient to replace that previously consumed in the production of the yarn. For all new money-capital entering yarn production, including that reinvested from profits, this is the condition they will face, i.e. a given amount of money-capital will now metamorphose into a smaller quantity of productive-capital. consumed in production. They must be physically reproduced, as shown in the top line. If yarn has been sold prior to flax being bought at its new price, M will not be sufficient to physically reproduce all of the consumed C. If yarn is sold after the rise in flax prices, the value of yarn itself would rise accordingly. If all of the yarn could still be sold, at this new value, then M would reflect this higher value, and would reproduce the consumed flax. As Marx sets out in Capital III, Chapter 6, however, a rise in the price of flax would inevitably cause a fall in demand for yarn due to its rise in price, so that not all yarn could be sold at the new higher price. All new money-capital, for example where a new firm is established would be in the position where its money-capital bought less flax. That is also the case in relation to m, the profit realised from the sale of the flax. That is why, the rate of profit has to be calculated on the current reproduction cost of the consumed capital, not on the historic price. 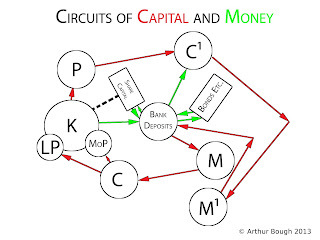 It illustrates the way a change in the value of the constant capital leads to a rise or fall in the rate of profit, because the profit will enable either a greater or small expansion of the productive-capital, as a given amount of profit will buy a greater or smaller quantity of the commodities that comprise the capital. If the price of flax rises sharply, before the spinner has sold their yarn, then the value of yarn will be increased correspondingly. However, a rise in yarn prices necessarily has an impact on the demand for yarn. The demand for yarn would then fall. In order to keep demand for yarn at its previous level, which may be necessary to ensure that production continues at a sufficient level to maintain the efficient use of fixed capital, etc., the yarn producer may have to absorb some or all of the rise in the price of flax out of their profit. In practice, the spinners would always have a portion of their output that had been sold at the old price, and not yet turned into flax, a portion that was in the process of being sent to market, and a further portion that was still in the process of being spun. But, the situation described here, of a crisis due to a breakdown of the supply of elements of constant capital, is also what Marx described in Capital III, Chapter 6, in relation to the US Civil War, which led to the supplies of cotton being stopped to the Lancashire cotton mills. 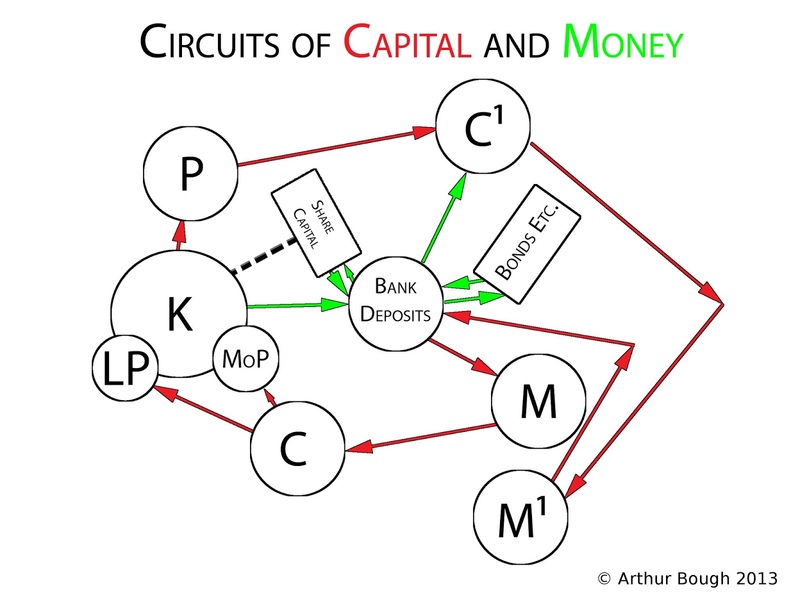 The problem of an insufficient accumulation of the physical components of constant capital, i.e. 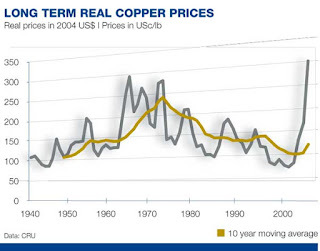 of raw materials, is common in relation to agricultural production, because supply can only be increased in the following year. Moreover, opening up new farms, or new territories, as with opening up new mines, etc. is something which requires many years to achieve. Increasing supply from existing cultivated land or mines is often restricted and costly, so that in the early stage of a new long wave boom, these sharp rises in primary product prices are a regular feature. Although, Marx does not refer to it as a long wave analysis, that is essentially what he was analysing in the earlier chapters when he examined the movement of agricultural prices over fifty year periods, and examined this effect of the time taken to open up new farms and territories, and the time taken for fixed capital investment to become incorporated in the natural fertility of such lands. 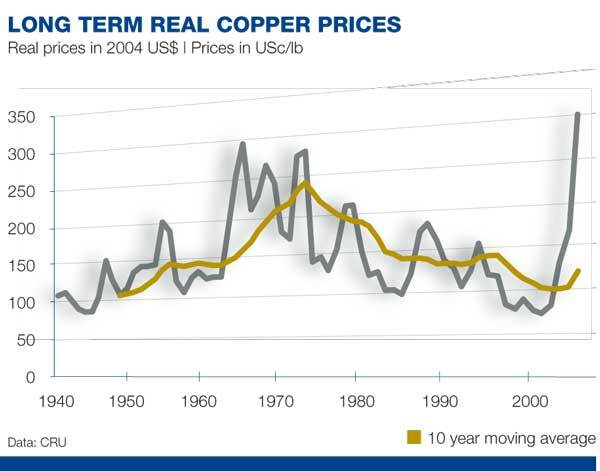 As an indication of the above phenomenon, the rise in the price of copper is a good indicator. This description of a rise in profits, along with a rise in reserves of idle money, and fall in interest rates, which provokes speculation is a perfect description of the situation globally, in the late 1990's, and early 2000's, which led to the property, bond and stock market bubbles of the period, which, in turn, led to the stock market crises of 2000 and 2008.